Nowadays, steel pipe which is a kind of main construction material such as galvanized steel pipe is widely used in our daily life. 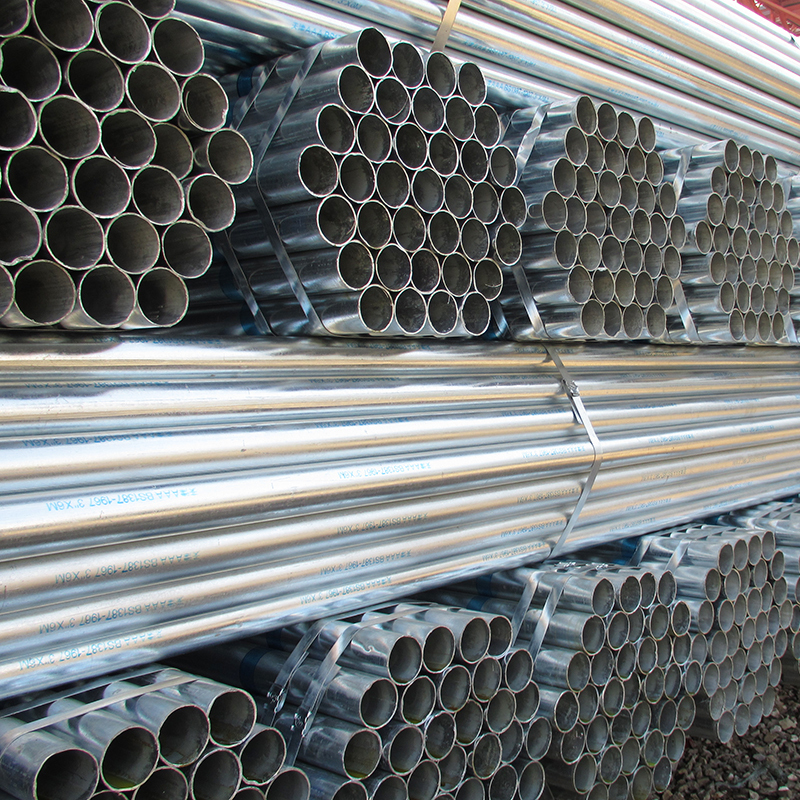 It is closely connected with our life as well as production and the development of the steel pipe industry is rapidly with constant innovation, which is an irreplaceable position for industrial development. With the rapidly development of the steel tube industry, there are some pipe manufacturers who may cheat our customers. It is very important to learn how to distinguish the steel pipe. Many manufacturers have the problem of cutting corners. In addition to the deviation of the iron components during the casting, the weight will also be substandard. Even if steel pipe factory can not be measured the concentration of advantage, the output of inferior steel pipe is inevitable. However, this kind of steel pipe is not up to the standard in the pipe market, so we should learn some knowledge about identifying steel pipes like round steel pipe. When you are buying, if you find that there are obvious indentation marks on the steel pipe, you can conclude that it is not standard steel pipe. This kind of steel tube is caused by excessive pressure during the casting. In the application process, we should pay attention to the possibility of cracking caused by some stress which is not obvious. Galvanized steel pipe specification is the basis of steel tube production for steel pipe manufacturer and the steel pipe price is more transparent. The galvanization quality can determine the price of hot-dip galvanized steel pipe. In order to attract customers, some fake manufacturers will play a trick in galvanizing step. Hot dipped galvanized steel tube has strong corrosion resistance and zinc coating is also thick but the high cost is not cheap. While electro-galvanizing pipe is cheap and customers are more willing to accept this kind of steel pipe. As you know there is no free lunch and good galvanization is the guarantee of safety. Some steel pipe surfaces are smooth and some are very rough, which is determined by the zinc coating. Fake steel tube also can exist without metallic luster and uneven phenomenon. In order to improve efficiency, some steel pipe manufacturers pay less attention to the product quality. It is easy to take in by pipe suppliers, so understanding of the type of steel tube is necessary.